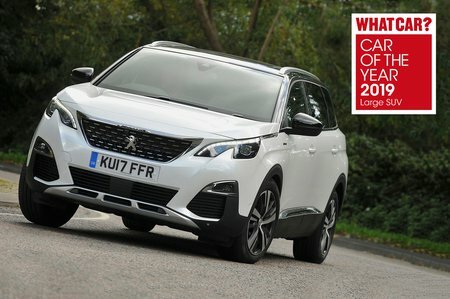 Peugeot 5008 1.6 PureTech 180 Allure 5dr EAT8 2019 Review | What Car? What Car? will save you at least £2,104, but our approved dealers could save you even more. You get everything that the Active model gets, plus sat-nav, front and rear parking sensors, a rear-view camera, privacy glass, driver’s seat lumbar adjustment, rear picnic tables, rear window blinds and 18in alloy wheels. You also get more safety features, including a driver attention indicator, lane assist, blindspot warning, auto high beams and an SOS emergency response feature. It's our pick of the range but we’d suggest adding the optional package that includes keyless entry and start along with a gesture-controlled, powered tailgate.